Marking a departure for Miller from an entire career of serialized stories, this 128-page epic spilled out of him all at once...and you can't help but read it the same way! 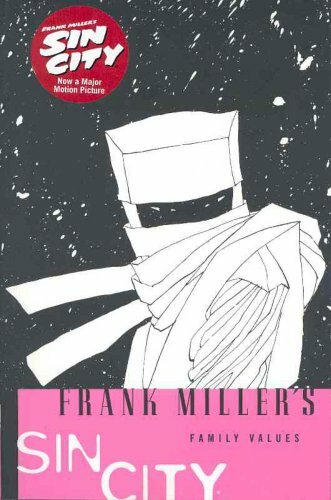 Family Values is a milestone among Miller's work, allowing him enough room to tell this classic story of grit and revenge exactly the way he wanted to. With deadly Miho running on roller-blades, Dwight running on adrenaline, and the Sin City mob on clean-up detail, this yarn from the Town Without Pity is not to be missed. Frank Miller (Ph.D. Indiana University) is a professor of Slavic Languages at Columbia University and coordinator of the Columbia-Barnard College Russian language program. He is the author or coauthor of several widely-used Russian textbooks and translator of Russian prose.